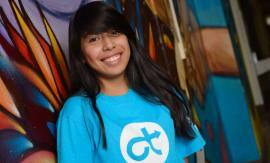 In the high school circles of L.A.’s Eastside, Cynthia Erenas is something of a poster child for the growing national movement behind ramping up STEM (Science, Engineering, Technology, Math) in public schools where these subjects too often aren’t even grasped by the teachers. 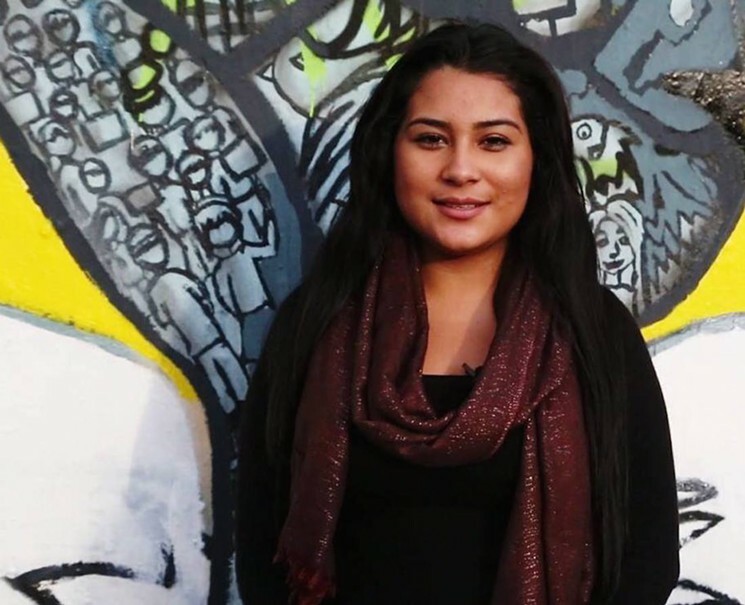 An 18-year-old senior at Roosevelt High School in Boyle Heights, Erenas, the daughter of Mexican immigrants, went from a struggling student with no plans to go to college to winning national awards and conducting TED Talks — after she found robotics and STEM. For Erenas, that outlet was robotics competitions and hackathons. As she explained in her TED Talk, it would be this passion that took her from a Mexican immigrant making bread in Tijuana, struggling to emigrate to the United States, to an aspiring engineer. In 2013, she helped organize the first robotics team from Boyle Heights, the L.A. Streetbots, to compete in the internationally renowned FIRST (For Inspiration and Recognition of Science and Technology) robotics competition. Her work led to her winning the FIRST Dean’s List award for 2015. And the man she has to thank for helping her achieve it is musical artist Will.i.am. Hailing from Boyle Heights, Will.i.am has turned his attention to helping support what he calls STEAM (Science, Technology, Education, Arts and Math) education in his hometown. He established the i.am.angel Foundation in 2009, and through it created college scholarships and funded after-school programs (like Erenas’ robotics team) to further his cause. The way Will.i.am sees it, his interest in science and technology had an obvious positive influence on his career, and it could be the catalyst that helps kids from Boyle Heights find high-paying and transformative career paths. Many in Boyle Heights still proudly proclaim it the barrio, a decades-old, almost entirely Latino neighborhood where urban legends are woven into the fabric of the community. Here, Erenas is the center of locally viral street lore. When attempting to make contact with her, you hear varying degrees of earnest fiction uttered by those who know her. Local schoolteachers say she’s going to MIT next year, while community activists say it’s a full scholarship to Georgia Tech. In fact, those colleges’ acceptance letters are yet to be mailed. Still, the fact that a girl from a working-class neighborhood known for its largely failing grade schools, middle schools and high schools could jump from not even considering college to openly aspiring to MIT shows how STEM classes are transforming kids in underprivileged areas. The i.am.angel Foundation has joined with the Ovation TV network, launching a crowdfunding campaign on the website Rockethub to raise $100,000 in 30 days to help send Boyle Heights students to the 2016 FIRST Robotics competition in St. Louis. But as of today, they’ve raised slightly more than $35,000 in 15 days from 16 donors, four of whom are actually involved in the fundraising campaign. The problem, it seems, is getting the word out. 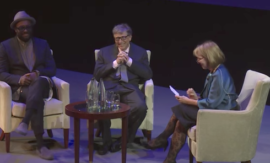 “Many kids aspire to be pro athletes or pop stars but not engineers or astronauts. 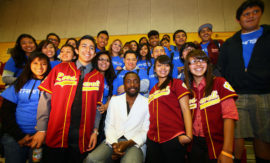 This is a national issue, not just a Boyle Heights issue,” Will.i.am said. His foundation is raising the money to continue to send teams to the FIRST Robotics Championships, which they conservatively price at $24,500 per team each year. Teams in more well-off areas often provide as much as $50,000 per team per year. 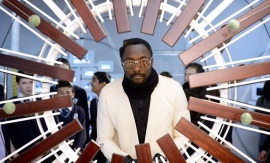 Will.i.am’s philosophy is part of a crossover of beliefs shared by many in both the artistic and the scientific community. Dr. Karina Edmonds, a nationally recognized expert in technology transfer at Caltech, where top professors back STEM education, wants to address the grinding LAUSD problem of ineffective teachers facing unprepared students. The reality is she is just picking at the seam of a much larger societal issue. Schools in less wealthy areas of Los Angeles and California usually don’t have the same resources to spend on STEM’s intensive and sometimes pricey endeavors. The bottom line is, “East Los” parents can’t raise the kind of outside money that parents in Brentwood or Encino can. Edmonds thinks those not living in upscale or middle-class areas are turned off to scientific and engineering education — intimidated by the thought of it, fearful they might not grasp the concepts. It’s not Marina del Rey or Silver Lake, where every kid has ready access to a laptop or notepad and, as a result, technical concepts are like a second skin. The digital divide is deep in Los Angeles, perpetuated inside LAUSD schools. When there’s nobody living in a dense, sprawling neighborhood like Boyle Heights known for succeeding in science, technology, engineering or math, the emphasis on it shrivels. “What happens then, is that the majority of people who are successful in STEM careers come from a pretty homogenous background”— heavily white and male, says Caltech’s Edmonds, who grew up underprivileged, as an immigrant from the Dominican Republic. With the tech world so homogenous and so neatly divided from the working class, just 12 percent of the engineering workforce is black or Latino. And only 24 percent of all engineering jobs are occupied by women. “When it comes to engineering and science, out here [on the Eastside] we’re always told what we can’t do,” Erenas said. “But once you help build an environment where robotics and technology and all of it can be fostered, it just becomes natural for students. And so, with 15 days left in the crowdfunding campaign, Will.i.am and everyone at the i.am.angel Foundation continues to try to raise the funds they need. Whether they’ll hit $100,000 will boil down to getting out the word to Angelenos willing to support new-age education in Boyle Heights, an urban neighborhood once known for gang wars that has now turned a corner.